Copyright laws protect the owner and the work they created from pirated use. Adapted from Common Sense Media. What do you think it means when someone’s creative work is discussed? Have you ever used creative work you found online? When you do use creative work, what thought or care have you taken with that work? The term creative work refers to all types of information and documents designed or written by someone including writing of all kinds, artwork, photos, videos, and music. There are many ways we use creative work we find online today such as using a photo in a report, posting it on a website or your Facebook page, or even as simple as forwarding it on your cell phone. Before using work created by others, there are many things that should be taken into consideration. There are specific laws that protect the work of others; these laws are called copyright laws. Copyright laws protect the owner and the work they created from pirated use. (Pirated use refers to something that is duplicated and/or distributed without authorization or permission.) First you must consider if the owner will allow the work to be copied and used and if so, then how or where the owner will allow its use. So by asking who owns it, do I have permission to use it, and where am I allowed to use it, the first steps in respecting creative copy and copyright laws are being observed. 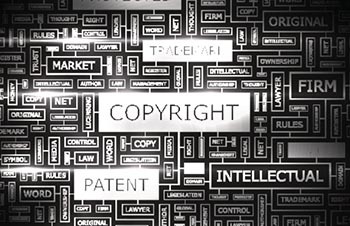 There are many other aspects of copyright and fair use laws. Aside from permission, using the information responsibly must be considered. It does matter how and where you use it, if you change the context, and even if the original picture is altered or changed all together. Fair use laws allow you to use only a small part or portion of someone’s creative work as part of something new. The work cannot be used for commercial purposes and it can only be use in certain ways including schoolwork and education, news reporting, criticism or social commentary, and comedy or parody. When you want to use someone’s creative work in a way that isn't covered by fair use, you must investigate its copyright status. Often information on how to contact the owner or its acceptable use is referenced on the document itself and adding a footnote and / or internet address is always safe practice. Students at the Districts’ 27 traditional High Schools have access through their teachers to TurnItIn.com. TurnItIn is a suite of projects that helps students strengthen their writing while simultaneously assisting them with proper citation of creative content.